Born: October 10, 1917 in Wilsall Mt. Died: December 19, 1971 in Pocasset Ma. 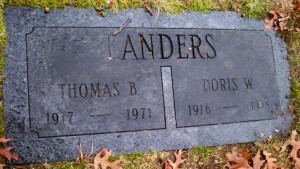 at 54 yrs, 2 mos, 9 d.
Married: July 6, 1939 in Bourne Ma. 1. 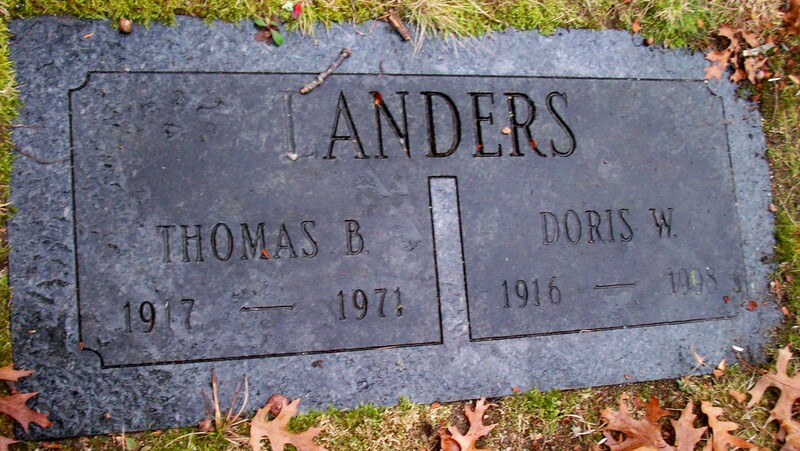 Thomas Bion Landers, Jr.; (June 3, 1940 – April 21, 1993); Married (1) Eugenia T. Porter in Bourne Ma. on November 4, 1967 & married (2) Nancy Heald Lawrence. 2. Stewart Francis Landers; (August 15, 1944 – July 20, 1977); Married Joyce Miriam Ignos in Bourne Ma. on September 9, 1967.